Aerohive’s Cloud Services (ACS) platform provides cloud-based access network management, a suite of APIs for network integration and custom application development as well as the underlying Big Data platform. Engineered from the ground up as a true cloud, Aerohive has designed a highly performant, flexible and resilient architecture. 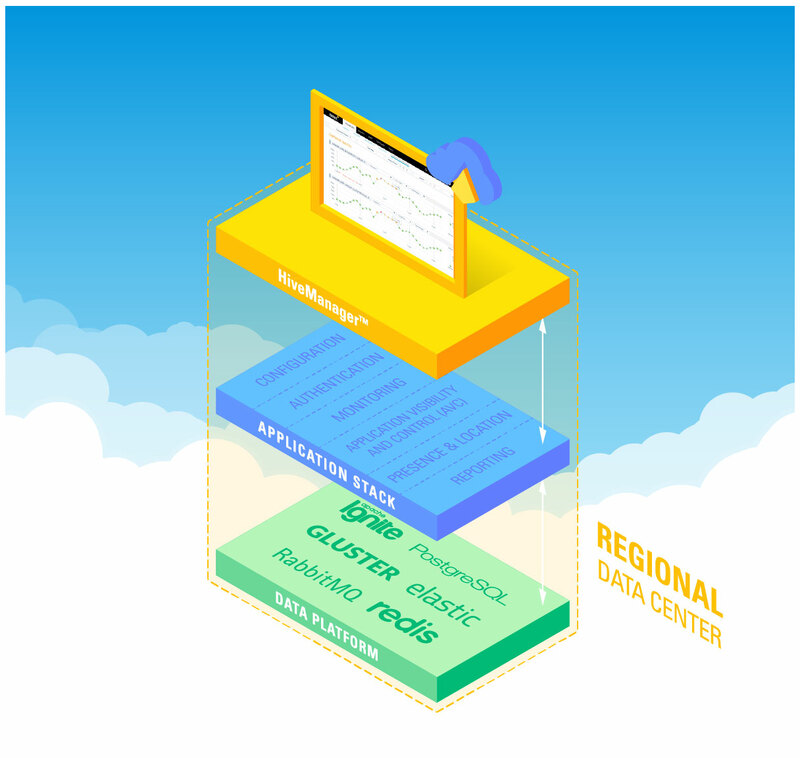 It leverages state-of-the-art technology like reactive stream processing, indexed search and in-memory-data-grids from industry-leading vendors to implement a fully clustered, task-distributed platform infrastructure. As a result, the Aerohive Cloud provides our customers unparalleled performance, speed and flexibility for their network access management and analytics needs. The elasticity of Aerohive’s Cloud creates new levels of scale and support for access network services. Through a clustered design, back-end infrastructure can be independently adjusted as needed based on changing task load and distribution, with the ability to optimize the adjustments by monitoring operations for learned patterns of system performance. For example, HiveManager, Aerohive’s NMS (Network Management System) leverages the latest indexing and caching techniques for rapid access to data stores, to let administrators experience faster data loading and execution of operational tasks, as well as highly responsive UI interactions when compared to legacy cloud management systems. 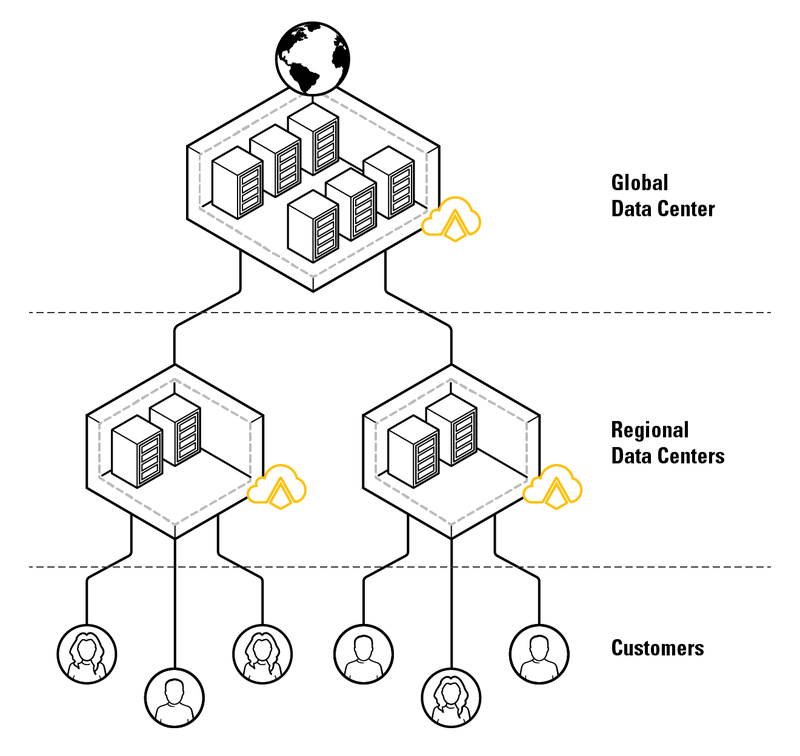 The Aerohive Cloud infrastructure includes two major components: A global data center (GDC) and several regional data centers (RDC). The GDC performs tasks related to the overall management of Aerohive’s cloud infrastructure, like managing administrator and customers accounts, and image distribution. The RDCs perform all tasks related to managing customer networks, for an assigned set of customer networks.